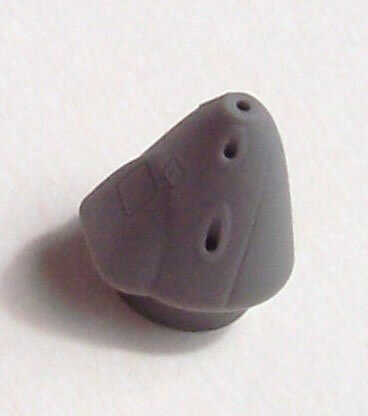 Four resin parts to each set. 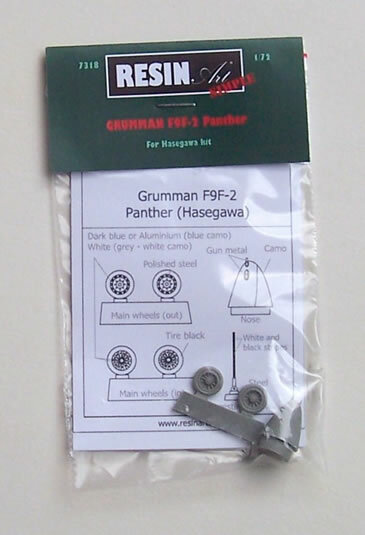 Excellent compliments to Hasegawa’s F9F-2 Panther and F9F-8 Cougar kits. Highly recommended. Resin Art is produces detail sets in several of the popular scales. The sets reviewed here have “Simple” printed at an oblique angle below the Resin Art logo, no doubt to indicate that these are basic detail sets, as opposed to the more comprehensive and sometimes multi-media detail sets Resin Art also produces. Both sets come in a plastic blister pack with header and simple instructions concerning painting. The fitment of parts is obvious, and so no assembly instructions are provided. There is just a parts map with generic colour call outs. 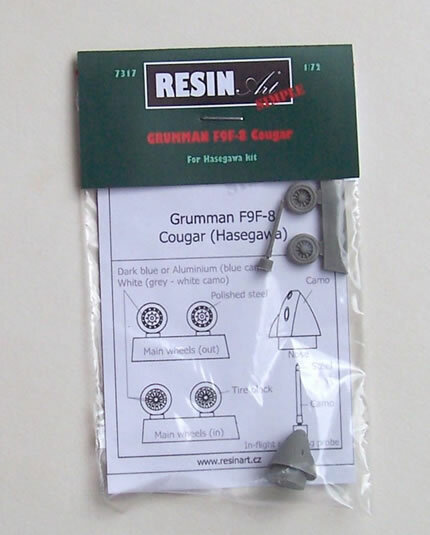 These sets are intended for the Hasegawa Panther and Cougar kits (also boxed by Minicraft). 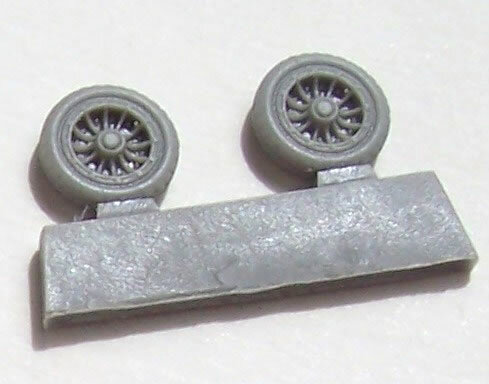 They are a distinct improvement over the kit parts; especially the nose for the F9F-2 Panther which is weakness of the kit (Also, just look at those flash hiders on the guns – I feel these are quite stunning in this scale). The wheel design is common to both sets, and a delicate tail hook is provided for the Panther whilst the Cougar has a nose refuelling probe. The images really serve this review with little in the way of added comment, other than to say they are flawlessly cast and easily removable form their casting blocks. 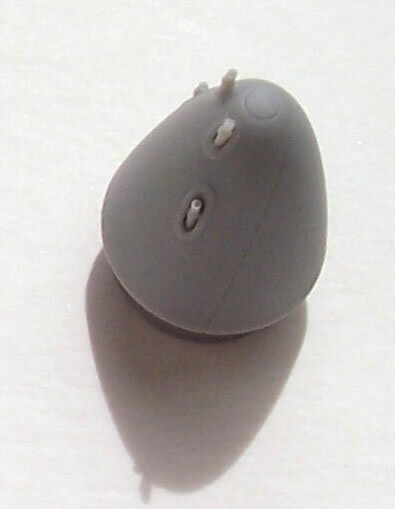 These simple sets enable very worthwhile and affordable improvements to the exterior appearance of models made using the Hasegawa kits. You can further improve your Cougar kit with Resin Art’s cockpit set #7205 previously reviewed on HyperScale. 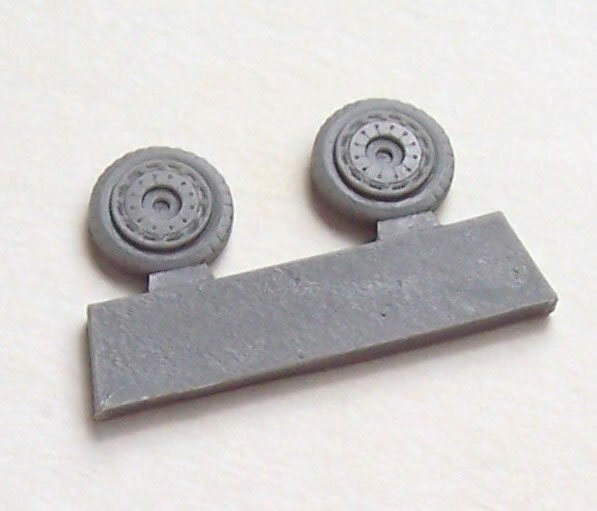 These are very well produced sets that should refine and bring to life F9F Panther and Cougar models.